Guest speakers at mobility conference in Ljubljana. More about the event SLO / EN. Lučka Kajfež Bogataj is the Head of the Centre for Agrometeorology and professor of climatology at University of Ljubljana. Her current research includes climate change scenarios and impacts on ecosystems and human wellbeing. She has also been invited to many national and international conferences and TV programs to report, as an expert, about climate change, its effects on the environment, sustainable development and social justice issues. Barbara Koželj Podlogar is Head of the Slovenian Cultural Information Center in Austria – SKICA since 2015. From 2007 to 2013, she was Director-General of the Directorate for Creativity at the Ministry of Culture of the Republic of Slovenia, while in 2015 she was appointed Head of the EU Affairs and International Cooperation Unit. She led a coordination group for presentations of Slovenian creativity abroad and was responsible for presentations of Slovene literature at book fairs in Prague, Leipzig and Frankfurt. She was a member of the board of the European Capital of Culture Maribor 2012 and the custodian of the ECoC project at the Ministry of Culture. From 2012 to 2015, she was a national representative of the Open Method of Coordination Group of the European Commission in the field of cultural and creative industries. Pedro Velázquez is the Deputy Head of the Creative Europe Unit since January 2018. He joined the European Commission in 1987 to serve as an interpreter of conferences and later on as a desk officer in the Directorate General for Agriculture. Between 1987 and 2014, he occupied several positions at the Directorate General Education, Youth, Sport and Culture, namely in the fields of Sport and Communication. During 2014, he was directly responsible of the Communication team, which launched the current Erasmus+ and Creative Europe programmes. Danilo Milovanović graduated from the Academy of Fine Arts and Design (ALUO) in Ljubljana after completing grammar school in Prijedor (BiH). He continued his master studies at the UMPRUM – Academy of Arts Architecture & Design in Prague and at the ALUO in Ljubljana. Primarily his interest is art in the public space, both in practice and in theory. He exhibited in Slovenia, Bosnia and Herzegovina, Czech Republic, Denmark and Poland. Many years of active engagement in the Rog Factory, an autonomous social and cultural centre, has led him to cooperation with activist and artistic collectives and individuals at home and abroad. Danilo was artist-in-residence at the UMPRUM, EC1 24H in Copenhagen and KSA AiR in Katowice. Occasionally he runs workshops and gives lectures. AIPA, k.o. is an organization whose primary purpose and activity is the collective management of the rights of the authors, performers, and producers of audio-visual works. As a collective management organization AIPA plays an important role as a promoter of the diversity of cultural expression, both by enabling the smallest and less popular repertoires to access the (inter)national markets and by providing social, cultural and educational services for the benefit of their right holders and the public. Further information at www.aipa.si. CzechMobility.Info is a project funded by the Ministry of Culture of the Czech Republic through Arts and Theatre Institute and is based on the Strategy of Support for the Arts in the Czech Republic 2015–2020. Its aim is to provide Czech artists, theorists, and other workers in the cultural sector with information and advice to make it easier for them to be professionally active abroad and likewise to make it easier to welcome foreign artists in the Czech Republic. 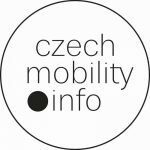 The core of the project lies in the online information portal (Czech version launched June 2018, English version October 2018) but activities also include consultations and workshops, all focusing on the practical issues of mobility, such as taxes, visas, insurance or contracts. Further information at www.czechmobility.info/en. Arts and Theatre Institute also hosts the Creative Europe Desk Czechia that is the part of a network of Creative Europe Desks in each of the participating states. ASEF is a not-for-profit organisation based in Singapore. It is publicly funded by 51 countries in Asia and Europe, the European Union, and the ASEAN Secretariat. Culture is one of ASEF’s focus areas, and Mobility First! – a travel grant for artists and cultural professionals – is one of ASEF’s flagship projects. ASEF supports travel between Asia and Europe, and within Asia. Through this grant, ASEF enables arts practitioners to attend residencies, festivals, workshops, conferences, and research trips. More info at www.asef.live/mobilityfirst. 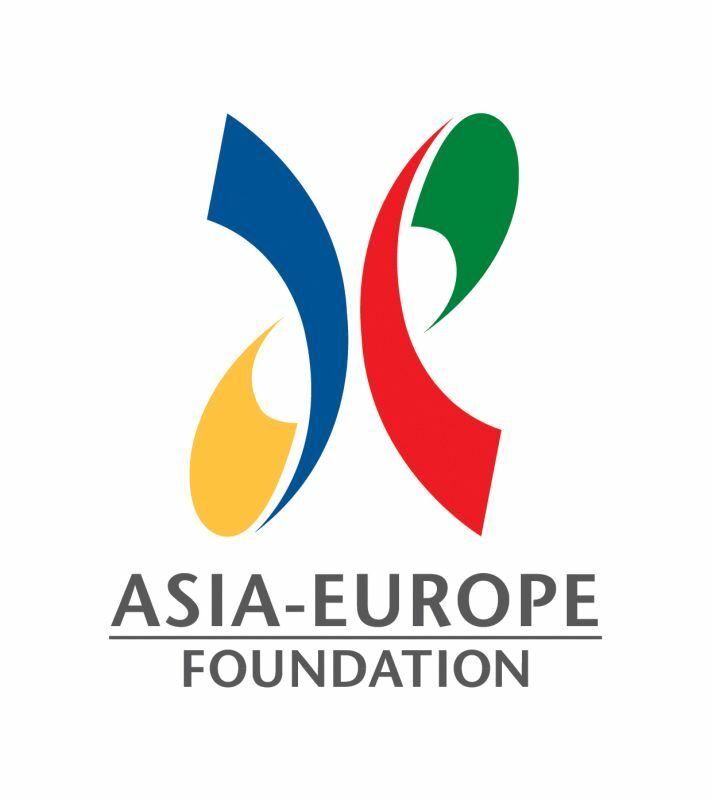 In addition, ASEF also produces Mobility Funding Guides for each of ASEF member countries – the European guides are made in partnership with On The Move. All guides are a comprehensive list of funding resources for nationals of each of our member countries. The Guides can be accessed at www.culture360.ASEF.org. 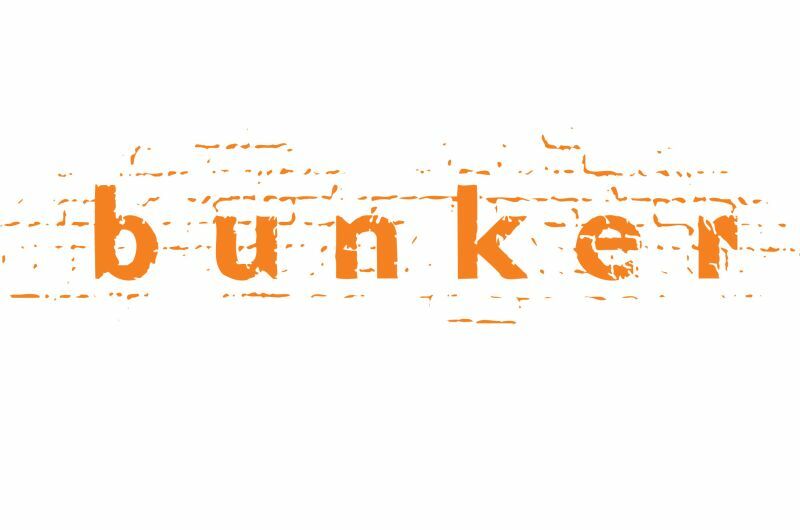 Bunker is a non-profit institute for the implementation and organization of cultural events. Bunker produces and presents contemporary theatre and dance performances, organizes workshops and other educational programs, research, and designs two international festivals: Mladi levi and Drugajanje. The aim of the Bunker Institute is to overcome the Slovene cultural scene with innovative approaches. Bunker encourages mobility of artists and their works, both within Slovenia and internationally, as well as linking different artistic disciplines. Bunker creates a space that allows exchanging experiences, knowledge and interests, both between artists and different audiences. Bunker strives to encourage discussions on various artistic practices and themes, as well as to create artistic programs and events that reflect current social, ecological and political and cultural themes. Further information at www.bunker.si. 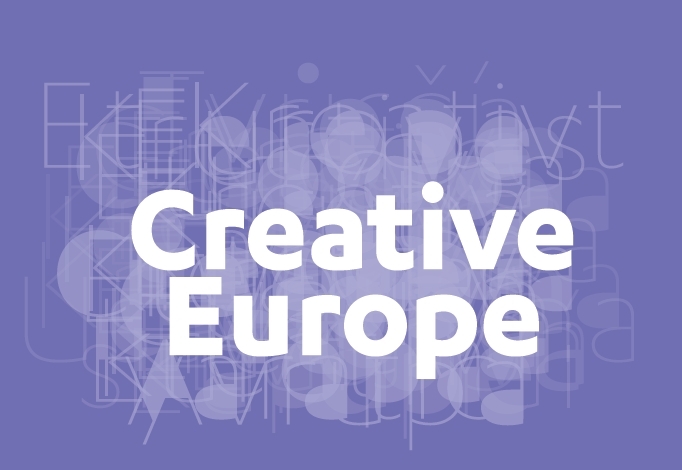 Creative Europe Desk (CED) is a national service and information point for the EU Creative Europe program. We encourage transnational co-operation and the implementation of international projects in the cultural and creative sector. Apart from networking, consulting and coaching activities CEDs are organizing events focused on promoting audience development, digitization, mobility, financing and other emerging and challenging themes evolving nowadays in Europe. Not only do we organise our own seminars and workshops about Creative Europe, but we also attend (inter)national conferences, festivals, markets and events in order to spread the word about Creative Europe and promote international cooperation. The CED network covering already 40+ European countries maintains close contacts with the Executive Agency EACEA and European Commission in Brussels, being responsible for the implementation and designing of the Creative Europe program. Besides CED Slovenia (hosted by Motovila Institute), CEDs from the following countries are attending the conference: Austria (Federal Chancellery of Austria, Arts and Culture), Croatia (Ministry of Culture of the Republic of Croatia), Czech Republic (Arts and Theatre Institute), Netherlands (DutchCulture), Portugal (Centro de Informacão Europa Criativa) and Kosovo (Ministry of Culture, Youth and Sports). The Center for Creativity is an interdisciplinary platform that connects, promotes, represents and supports the activities and development of the cultural and creative sector in Slovenia. The centre offers training for applicants participating at the current call published by the Ministry of Culture, aimed at promoting the development of new and innovative products, services and processes in the field of creative and cultural industries (CCI). Moreover, it increases the visibility of companies and stakeholders of the CCI on the national and international markets (e.g. in April a selection of furniture by Slovenian designers and independent furniture manufacturers will be presented at the Milan Design Week). Finally, the centre is developing entrepreneurial skills and other skills in order to strengthen cooperation with the economy, support a faster growth, development and mobility of the CCI. Further information at www.czk.si. 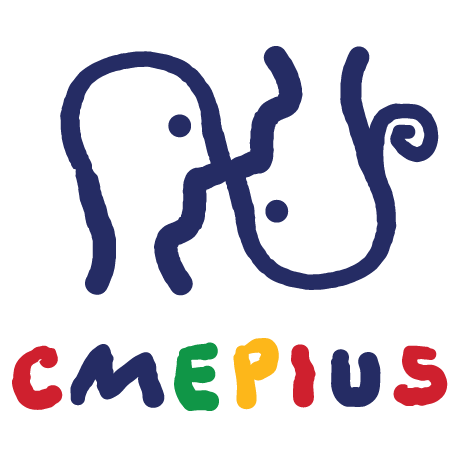 The Center of the Republic of Slovenia for Mobility and European Education and Training Programs (CMEPIUS) is a public institution responsible for the implementation of the European programmes Erasmus+ and Europe for Citizens. The Erasmus+ program offers co-funding for the mobility of individuals and for international projects in the fields of education, training and sport. An individual (pupil, student, staff) acquire knowledge and competences abroad, is consequently better skilled and more employable, on the other hand institutions by cooperating exchange good practices and find solutions for common issues. The Europe for Citizens program promotes the role of citizens in the development of the EU by informing them about the history and diversity of the EU and promoting democratic and civic participation. The program offers co-funding of various activities, especially local projects and cooperation between cities. Further information at www.cmepius.si. DutchCulture’s Mobility Infopoint (MIP) aims to be an approachable support desk for any mobility-related issues faced by internationally operating cultural professionals. Organizations and individuals can ask questions over e-mail, phone or plan a meeting to visit us at the DutchCulture office in Amsterdam. Though our MIP is not a funding organization, it is well connected to the national cultural funds that have mobility funding available in a diverse range of cultural and artistic disciplines. Further, the MIP tries to stay up to date with the latest mobility-related information by acting as a networking partner between Dutch cultural organizations, sector-wide supporting organizations, advocacy organizations and external legal experts. Further information here. DutchCulture also hosts the Creative Europe Desk Netherlands. University of Primorska, Centre for Development and Technology Transfer is a local contact point and intermediary organization of the Erasmus for Young Entrepreneurs programme which offers to future, young and prospective entrepreneurs a mobility training scheme from 1 to 6 months, with an experienced entrepreneur from EU and outside who runs a small or medium-sized enterprise (SME). The aim of the mobility is to transfer entrepreneurial experience and know-how from host to new entrepreneur and to acquire the necessary entrepreneurial competencies and skills by wannabe entrepreneurs for a successful start-up and management of their company. The mobility is co-financed by the European Union. Further information at www.erasmus-entrepreneurs.eu. The Employment Service of Slovenia (ESS) is implementing the EURES project – Development of services for workers’ transnational mobility facilitation financed by the Republic of Slovenia and the EU from the European Social Fund. The purpose of the project is to provide efficient advice services for transnational mobility of the workforce through EURES services. 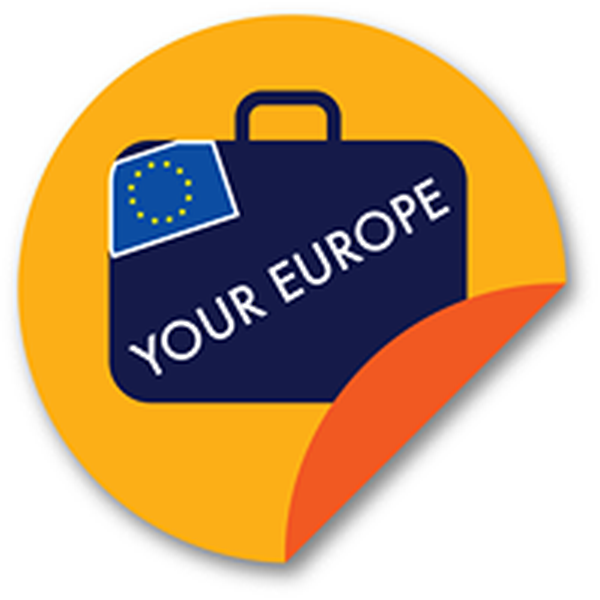 If you are interested in employment in the EU, EEA or Switzerland, or you intend to recruit candidates from these countries, write to eures@ess.gov.si. EURES organizes employment events and implements short modular workshops for jobseekers. It provides legal support within the Contact Point for the promotion of equal treatment of workers. It implements the national mobility scheme, informs and advises on other (financial) opportunities supporting mobility (Your first EURES job, Reactivate with EURES). EURES stands for EURopean Employment Services. It represents a network of employment services and their national partners from the EU, EEA countries and Switzerland. EURES has been working to achieve the free movement of workers since 1993. Further information about the Employment Service of Slovenia / EURES, European Job Mobility Portal and European Job Days. Between April and September 2019, the Goethe-Institut, Institut français, Nida Art Colony of Vilnius Academy of Arts and Izolyatsia will issue three calls to fund the mobility of individual artists and culture professionals of all ages, nationalities, educational qualifications and levels of experience from countries participating in the Creative Europe programme. In order to achieve a critical mass, this pilot project will focus on two sectors: the Performing Arts and the Visual Arts. Further information here. 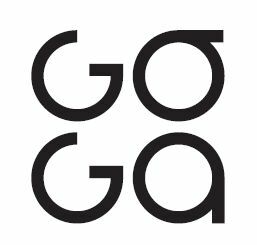 The Goga Publishing House is involved in a wide spectrum of activities, from publishing Slovene and foreign literary works, magazines (Rast) to organising different cultural events, festivals (street theatre, short stories, summer festival) and residency programmes. As of 2000 Goga also runs the Goga Bookshop, a popular venue for literary, musical, and other cultural events in Novo mesto. Within the Reading Balkans project, supported by the Creative Europe programme (2017), Goga aims to link various partners active in the field of literature promotion and dissemination. The aim is to create new capacities employing a new business model with the Literary Agent for literatures of Southeast, Southern and Eastern Europe, and strengthen the transnational mobility through the network of writers-in-residence programs. HDLU is a non-governmental, non-profit and politically neutral union of professionals established in 1868. Its membership consists exclusively of visual artists of all generations, working in all forms of expression and disciplines. The basic goals of the Association are to support and encourage contemporary visual expression. Along with Erasmus+ and Creative Europe project CreArt, through residencies, exhibitions, workshops, seminars, and roundtables, HDLU promotes international mobility from various aspects. As part of the CreArt project and thanks to the twelve partner cities, two hundred artists and curators participated in the program in first five years. In 2018, fourteen artists only from Zagreb participated in CreArt activities throughout Europe, while ten foreign artists were trained in Zagreb. MGLC is a specialised museum and producer of printed and contemporary art, based on the heritage of the Biennial of Graphic Arts and 20th century art of printing. It has been the job of MGLC from the outset to perform a number of activities: it conducts ongoing exhibition programme, it takes care of the extensive collection of prints and artists’ books and – most importantly – it is the organiser of the Biennial of Graphic Arts Ljubljana, which is known as the world’s oldest graphic arts event. Since 2017 MGLC manages recently renovated building of Švicarija which is one of cultural, educational and social hubs of Ljubljana. Today, it provides a temporary studio space for Slovenian artists while introducing an international residency programme. Furthermore, Švicarija curates interdisciplinary public programme that follows the motto “community, nature and art”. The 2019 programme focuses on the analysis of the state of independent journalism and the right of the public to information. Further information here. Association for Culture and Education PiNA works on three intertwined and complementary priority areas: strengthening of the NGO sector, development of a critical and responsible society and international (co)operation. Under these areas, PiNA develops activities (i.e. PiNA TERMINAL programme sends more than 60 individuals yearly for training abroad), promote active participation of the civil society, respond to existing needs providing any missing content (i.e. the preparation of a didactic tool for teachers in primary and secondary schools for learning active citizenship). PiNA is also involved in Creative Climate Leadership (CCL) cooperation project supported by Creative Europe. 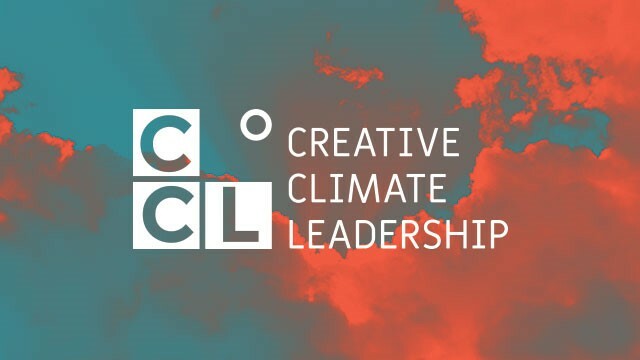 The aim of CCL programme for artists and cultural professionals is to explore the cultural dimensions of climate change, and take action with impact, creativity and resilience. Polo Cultural Gaivotas | Boavista is a centre for artistic creation run by the Lisbon Municipality. The centre includes studios, artists’ residences, Loja Lisboa Cultura, and two artistic programmes. Loja Lisboa Cultura is a specialised free service providing training and information to arts professionals and organisations on issues related to professional activities and it is a Mobility Info Point. For mobility support, Lisbon Municipality provides free information on fiscal, social security, intellectual property and visa issues (with protocols celebrated with the official entities) and has some Exchange Programs including coverage grants with countries such as Hungary or Mozambique. Established in 2000, SCCA–Ljubljana is a model of a flexible and internationally active organisation in the field of contemporary visual and new media arts. Their diverse activities address artists, curators, theorists, experts, critics and general public. In recent years, SCCA have managed to establish a referential space for research and exhibition work, dialogue, teaching and service activities, not to mention the care and models their DIVA Station archive has provided for audio-video culture heritage and historical memory. This interdisciplinary and multimedia nature has also been realised in physical space, under the name SCCA Project Room, which has become a common venue for meetings, workshops, conversation, presentations, exhibitions and performances. It hosts the World of Art, School for Curatorial Practices and Critical Writing, as well as a series of events and installations, which encourage the thirst for research-related knowledge and constructive dialogue. SCCA is a member of a cultural mobility information network On the move. SCCA is focused on the individual mobility of curators and critics (curatorial mappings and study excursions as a part of the school curricula) and they encourage the mobility of video works (within the program Videospotting). Further information at www.scca-ljubljana.si. Screen Skills Ireland is the leading agency with responsibility for investing in people and skills development for the screen sectors in Ireland through the design, development and delivery of industry-focused skills development, encompassing film, TV, animation, games and VFX, for all roles from new entrants to company leaders. Screen Skills Ireland engages with industry to establish the skills needs of the sector, then responds to those needs with flexible and bespoke solutions ranging from continuous professional development courses and masterclasses to mentoring and work-based-learning programmes. In terms of mobility, Screen Skills Ireland’s key programmes are the Screen Leaders programme (funded through Creative Europe) and the Bursary Scheme that supports Irish professionals to undertake international training courses. Further information at www.screenskillsireland.ie. 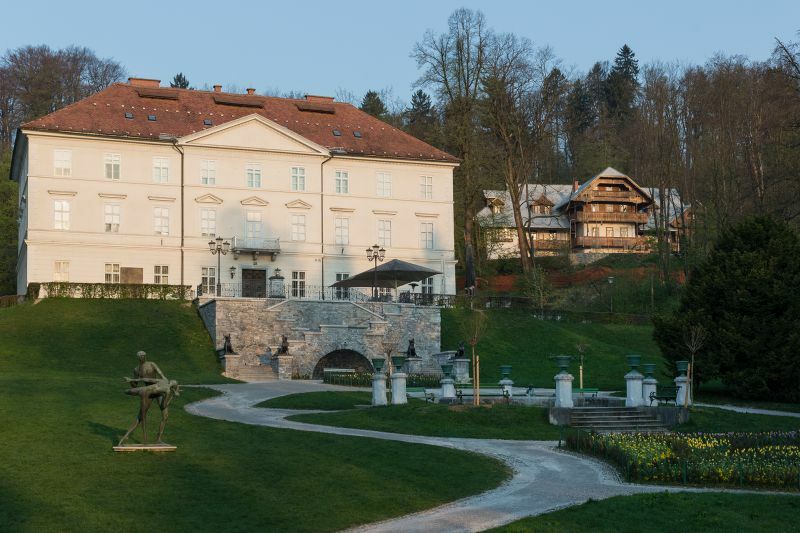 SKICA is the first Cultural Institute of the Republic of Slovenia abroad and it is a joint project of the Ministry of Culture and the Foreign Ministry of the Republic of Slovenia. Slovenian cultural-information centre is part of the Embassy of the Republic of Slovenia in Vienna and at the same time serves as a model and predecessor for further institutions of the same type. SKICA is a member of the Vienna EUNIC (European Union National Institutes for Culture) group. The main tasks of SKICA are to represent and promote Slovenian culture and art in the Austrian cultural area and to support and promote cooperation between Slovenian and Austrian artists and institutions. Further information at www.skica.at. Transcultural Emancipation is an artist in residence programme curated by Ursula Maria Probst and running since 2013 by Fluc and KulturKontakt Austria/Federal Chancellery in Vienna. International artists spending three months in Vienna are given the opportunity to use the billboard walls of Fluc at Praterstern Vienna as a format for presentation and intervention, in line with the political practice of art in public urban spaces. Ursula Maria Probst is cultural worker, art critic (Kunstforum International, Spike, dérive), artist (Female Obsession), art historian and independent curator (Fluc, KulturKontakt Austria, Federal Chancellery, Vienna Artweek, Kulturdrogerie, Galerie Krinzinger, K/haus, Kunstraum NÖ, public art lower austria, KÖR, Havanna Biennal, frei_raum, Q21, MQ, Medo, Saracura-Brazil, FLUCA Austrian Cultural Pavilion, Plovdiv, Bulgaria, Medo). She is a lecturer on art in public space and structural power measures within the art world at the Academy of Fine Arts Vienna and the Kunstuniversität Linz and holds a visiting professorship at the University for Applied Art in Vienna. Since 2013, she is in the jury board for the artist in residence program KulturKontakt Austria / Federal Chancellery. Further information at www.fluc.at. Your Europe Advice is part of a set of information and advice tools for citizens and businesses about their EU rights. The starting point is the Your Europe website designed to give you information about your rights across Europe. It offers practical advice and useful tips on issues such as living, studying, working, shopping, travelling – or, as a company, doing business – within the EU. Team of 65 independent lawyers who cover all EU official languages and are familiar both with EU law and national laws in all EU countries provides: free and personalised advice in the language of your choice, within a week; clarify the European law that applies in your case and explain how you can exercise your EU rights.